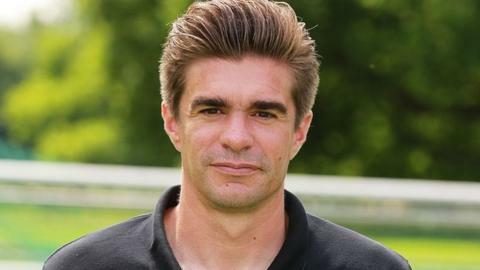 Wolves manager Stale Solbakken has appointed German coach Patrick Weiser to fill the void left by the early-season departure of Terry Connor. Weiser, 40, was part of Solbakken's backroom staff last season with Cologne, with whom he started his 16-year playing career. He also spent two years at Rennes, as well as six seasons with Vfl Wolfsburg. He then became youth-team coach with Cologne prior to being promoted to first-team duties last season. "After assessing various candidates, Stale and the club have decided that Patrick is the best man to fill the coaching vacancy and we are delighted to welcome him to Molineux," said Wolves chief executive Jez Moxey. "He will bring in further fresh ideas and expertise to our backroom staff and aim to help the players build on an encouraging start to the season." Reiser was in the directors' box at Ewood Park a fortnight ago to watch Wolves' 1-0 Championship win against Blackburn Rovers. And he has now joined third-placed Wolves in time for Saturday's trip to fellow high fliers Huddersfield. Connor, 49, who took over as Wolves manager for the rest of the season when Mick McCarthy was sacked in February, departed the club in August after 13 years' service. He left just four games into the new season, having intitally reverted to his old role of assistant manager following Solbakken's arrival in June.